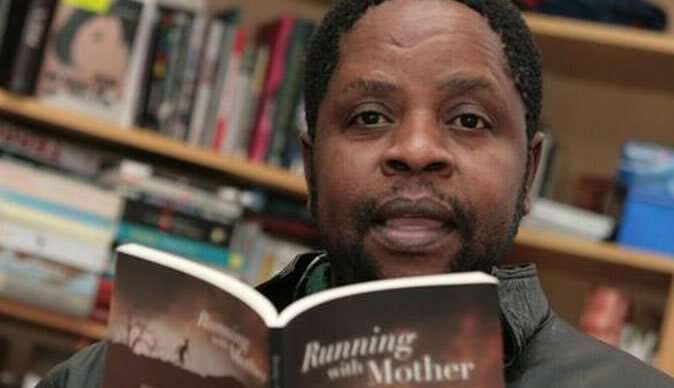 It's been a long-standing promise to myself that I should get round to reading the novel 'Running With Mother' by Zimbabwean writer and playwright, Christopher Mlalazi. And I finally got the opportunity to do just that this past week. Nothing, however, could have prepared me for the harrowing narrative that Mlalazi vividly presents in this novel, allowing the reader to live - and in some instances, relive - the atrocities of the genocidal Gukurahundi killings of the 1980s. 'Running With Mother' tells the story of 14-year-old Rudo whose schoolgirl life is irrevocably altered by the arrival of forces to her community to exterminate villagers who are said to be Ndebele dissidents √¢‚Ç¨‚Äú in effect, anyone and everyone who is Ndebele. But Rudo has one 'saving grace'. Her mother is Shona. The story takes us through the terror that she experiences in fleeing her home with her mother amid the confusion and severe torture of family and friends. At the same time, the novel brings to the fore a conversation that is often difficult, and painful, to initiate; that of tribe and tribal relationships in Zimbabwe. I spoke to Mlalazi, who is currently Guest Writer Of The City Of Hanover, in Germany, to learn more about the journey to 'Running With Mother'. 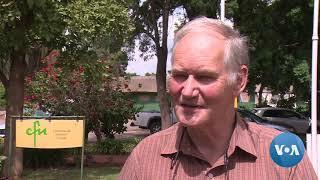 What inspired you to write about such a deeply sensitive issue such as Gukurahundi? Conflict can never escape the cross hairs of a writer, or artists in other genres, for stories deal with conflict at any level, social, political, religious etc, and so Gukurahundi happens to fall within that bracket. As a period in national history that has been poorly documented and recorded, where and how did you find background information to support the narrative? 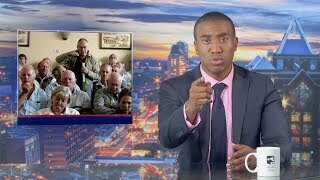 Gukurahundi is not poorly documented, there is in-depth literature about it if you know where to look, and some of it so shocking √¢‚Ç¨‚Äú hard copy documents like the Catholic Commission For Justice and Peace, Youtube documentaries, and a whole lot of other papers that can be found online if you just search Gukurahundi. Growing up in Matebeleland in the 1980s, but in the city, I also saw the Fifth Brigade when they moved into the city and what they did there. I also have relatives who were in the hot zones of Tsholotsho, Kezi, Plumtree; they are still telling the stories of the horrors they witnessed. Recently, even Mugabe in the Dali Tambo interview acknowledged that Gukurahundi happened too. So yes, it happened and people talk about it. Are the main characters based on real people or are they purely 'fictitious'? Of course, nothing like pure fiction really exists to begin with. Of course the characters are fictitious, but they are inspired by real people, of Shona women who were married to Ndebele men at that time and were living out there in the rural areas in Matebeleland and who were also at the receiving end of this backlash. What has been the feedback to the book so far? Is it available in Zimbabwean bookstores? Feedback on the book is good. It is actually selling well in Harare. In the beginning, the publisher could not find anybody in Bulawayo willing to sell it, but now it is being sold there too. It is also available online from Amazon and all other online bookshops affiliated to Amazon. Nothing within the marketing synopsis of the book intimates that the book will discuss such a heavy subject. Was that intentional? A blurb for a book is not supposed to tell the story, it must just hint. And so I guess we hinted. What was the experience like for you, recounting such a harrowing tale in gory detail? The experience was horrifying I must say, and we can never guess how it was for the victims during the actual blitz. I guess artists at some point must treat nightmares like these, because the intention is to lance a boil that is suppurating in the national psyche. In order for us to seek closure for situations like these, and ultimately reconciliation, an attempt has to be made to debate over them in the open, and not behind closed doors for fear something untoward might happen to you, for there are people out there still searching for answers to what happened to their wives, husbands, mothers, fathers, grandmothers, grandfathers, and children. You write in the first person voice of 14-year-old Rudo. Nothing about her life, at face value, seems congruent with yours. How did you get into the character and find her voice? I think I wanted to find a voice that is simple and can be clearly heard, a voice that does not come with preconceived judgments of events and ideas, a voice that will give us a perspective that will give us questions like; What is that? Why is it happening? Who is that? And so forth. A child's voice and perspective fits that perfectly in any story. Some say it's time to put the pain of Gukurahundi behind us. Some say that it has not been adequately addressed. What do you say? And what do you hope that your novel achieves within this discourse? It is very easy for a perpetrator in any situation to say "let's forget about that", but it is not that easy for the victim to do the same, especially if the perpetrator is not forthcoming and sometimes tries to dismiss the whole issue as a none event. For the victim there is always the fear - that if the perpetrator is not forthcoming or apologetic, what can stop him or her from doing it all over again?